If you haven't noticed, I have a bit of a thing with long vests this summer. I love how it instantly adds an element of chic to anything from a pencil skirt or a pair of jeans. I do love the particular style of this vest but being partially linen, has a tendency to wrinkle. This can be a pain point for some but I kind of like the rugged appearance of linen and it's worth embracing in the warmer temps. Such a chic look! Those heels are to die for!! Such a fresh and sophisticated look! Those shoes are so fab!! Fantastic vest and shoes! You look so chic and I'm impressed with the way how you've styled this interesting outfit. Those heels, girly! SO darn cool! Love that you paired them with orange! The shoes and vest - but particularly the shoes are so boss! You look so pretty in orange!! Cool look! Does that vest come in any other colors at Zara? I bought the navy version (much thicker) but I have also seen a white version this season! Love that shade of orange for summer. I love this look so much! The combination of that color + those shoes is perfect! Love this look! 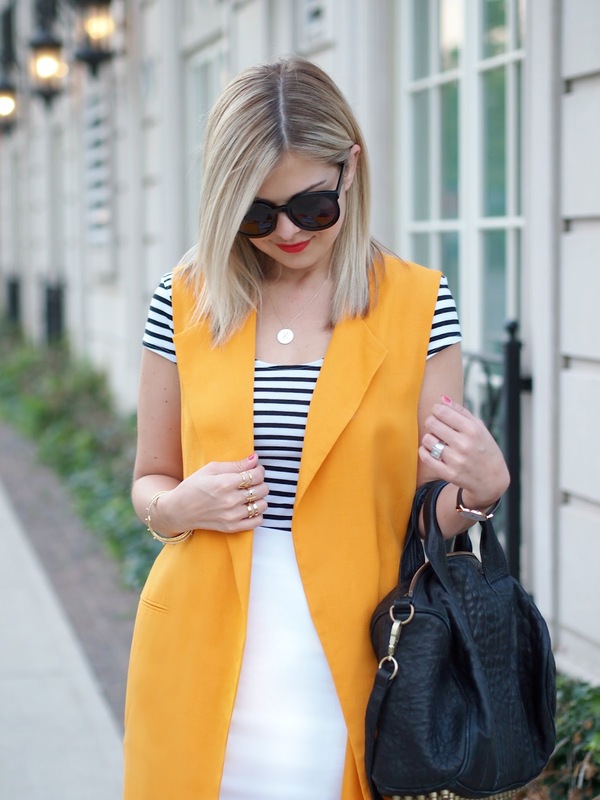 A vest like that could be so difficult to style, but you nailed it. Great look! Looking fab, as always. Such a beautiful look, the vest is stunning colour and goes great with this outfit! Love your summery outfit! Such a fun bright color! I have an awesome giveaway up on my blog, I hope you'll check it out! Great look! I especially love that bag!